Housed in a re-constructed corrugated iron settler’s house from the 19th Century, this laid-back restaurant in the grounds of Fort Nonqayi has gleaned rave reviews from visitors to the area. 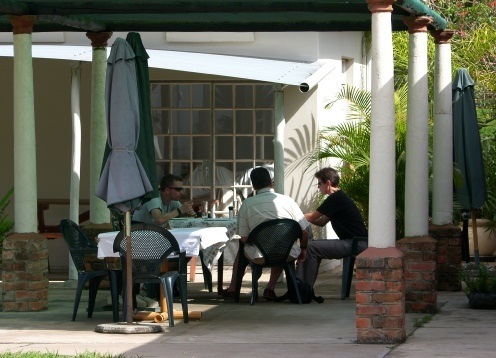 There are tables indoors and out, both in the open garden area and on the covered verandah. There are few places more redolent of old colonial charm and the wine list, although short, contains some interesting South African wines, and the view over the Fort’s expansive courtyard completes the scene. Welcome to Eshowe.com - the site that brings you all information on things to do in and around Eshowe, Zululand.